Ashley Ratliff, JD/MSW, has been a juvenile defense attorney, both within the Colorado Office of the State Public Defender and as an independent contractor with Alternate Defense Counsel, for 10 years. Ms. Ratliff is an expert in comprehensive holistic child centered litigation for children prosecuted in adult court. Ms. Ratliff currently leads the Youth in Adult Court Litigation for the Colorado Juvenile Defender Center which was instrumental in the 2012 legislative changes to the Direct File Statute. Part of her work within coordination and training for attorneys on this committee included the creation of a Forensic Social Work Program in order to provide comprehensive client centered representation to Colorado’s most vulnerable clients by inclusion of social workers on defense teams. Ms. Ratliff received her law degree from California Western School of Law simultaneous to receiving a master of social work from San Diego State University in San Diego, California in 2006. The focus of this dual degree program was on juvenile justice and child advocacy. Maren Willins, LCSW, is a criminal defense-based forensic social worker and psychotherapist in the Denver-metro area. She is a licensed clinical social worker and has been working in the public and private criminal justice field for over 15 years. Maren has been a forensic social worker with the Alternate Defense Counsel in Colorado for four years and had worked with the Public Defender’s Office for five years. Maren passionately works on criminal defense-based teams to tell her clients’ stories, to advocate for alternative and appropriate sentencing, and to advocate for mental health treatment. She is the co-editor and author of Criminal Defense-Based Forensic Social Work. She has had her own psychotherapy private practice for over 10 years in which she provides solution-focused and client-centered therapy for individuals as well as supervision to new social workers. Maren earned her graduate degree in social work and her undergraduate degree in psychology at Washington University in St. Louis. Hillary Vervalin is a licensed clinical social worker who holds a Master of Social Work from the University of Denver with an emphasis on family systems and trauma-informed care. 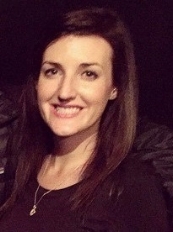 Hillary has been a forensic social worker with the Alternate Defense Counsel in Colorado for four years and remains extremely passionate about combining social work skills, values and ethics with work on criminal defense teams to provide client-centered, positive outcomes in juvenile, adult, and capital cases. Hillary has testified as a forensic social worker in front of the Colorado General Assembly on two occasions in support of reform for juvenile life without parole laws. Hillary is also a founding member of the Chained Voices Art Committee that provides incarcerated and formerly incarcerated artists the opportunity to display and sell their art in the community. Hillary’s past experience includes assistant teaching at the University of Denver’s Graduate School of Social Work as well as individual and family substance-abuse therapy with adult females and adolescents in both residential and outpatient settings. Hillary was named the Colorado Juvenile Defender Center’s Forensic Social Worker of the Year in 2016. Molly Hennessey currently practices as a forensic social worker/mitigation specialist in Seattle, WA, working on public defense teams with juveniles and adults. She completed her Bachelors degree in Social Work from Seattle University and went on to earn her Masters degree in Social Work from the University of Denver. In graduate school Molly completed a clinical track focusing on At Risk Youth and Interpersonal Trauma. Prior to moving home to Seattle Molly contracted with the Colorado Office of the Alternate Defense Counsel as a forensic social worker, primarily working with children being charged as adults and adults serving juvenile life without parole sentences. 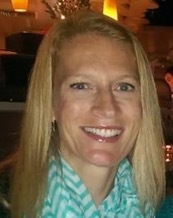 Kathleen McGuire received her law degree from the University of Denver School of Law in 1994 and a masters degree in social work from the University of Wisconsin-Madison in 1985. Ms. McGuire has had a private law practice since 2013. Prior to this, she was a deputy state public defender for nineteen years, spending ten years as a trial deputy and nine years as the manager of a regional trial office. She has represented thousands of adults and juveniles charged with criminal offenses; a large number of her clients have serious mental health disorders. She was a member of the Legislative Advisory Task Force for Persons with Mental Health Disorders in the Criminal Justice System for approximately eight years, and was the Chair of this task force for eighteen months. She was involved in the Drug Policy Task Force which advised the Colorado Criminal and Juvenile Justice Commission concerning modifications to offenses involving controlled substances. Ms. McGuire used her background in social work to write a grant for the Office of the Public Defender in the 1990’s, which led to the first social worker being hired by this statewide agency. She continued to supervise graduate students in social work throughout her career as a public defender and while in private practice. Claire Schmidt is a Denver based Forensic Social Worker. Claire earned her Masters of Social Work from Colorado State University. Before contracting with the Alternate Defense Counsel as a Forensic Social Worker, Claire worked to empower, educate, and advocate with and for individuals living with HIV, survivors of domestic violence and young people who identify as LGBTQI. Claire is passionate about combining her experience in both clinical and community-based social work with her growing practice as a member of criminal defense teams. Her practice is currently focused on recognizing the unique needs, challenges, and strengths of clients navigating the criminal justice system. Marty Beyer, Ph.D. is an independent national juvenile justice and child welfare consultant. Her work focuses on the impact of cognitive, moral and identity development, trauma, and disabilities on youth offenses, Miranda, competency, and rehabilitation planning. Dr. Beyer began utilizing a developmental framework early in her career in delinquency programs and has been teaching her Developmental Assessment approach to social workers, lawyers and judges for many years. Dr. Beyer helped juvenile justice systems implement Youth Family Team Meetings, developed a policy and staff training regarding the treatment of LGBT youth in Hawaii, designed a plan for girls in the Connecticut juvenile justice system, and recently completed her work as the U.S. Department of Justice Mental Health Monitor in juvenile facilities in New York. She also assisted with the statewide implementation of strengths/needs-based child welfare practice in Alabama and Oregon, litigation in Massachusetts to secure Medicaid-funded intensive home-based services for children in the juvenile justice, child welfare and mental health systems and is supporting mental health services for children in foster care in LA. Dr. Beyer has a Ph.D. in clinical psychology from Yale University. Her articles can be found on her website www.MartyBeyer.com.